The first Aston Martin produced by the company under full Ford ownership was the DB7 in 1993. The DB7 was initially available as a coupe, and was intended to be a more achievable model in comparison to the hand-built Virage. Achievable is relative, of course, as the DB7 coupe cost $140,000. 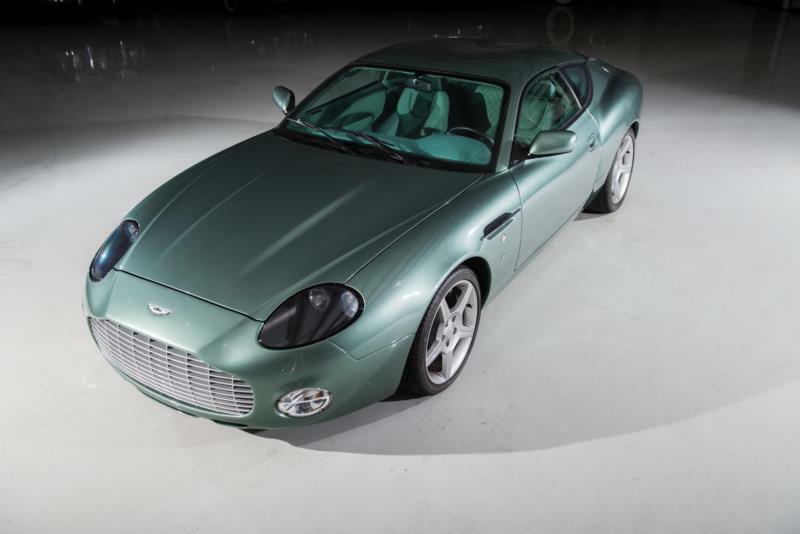 Still, Ford’s mass market aspirations were realized as approximately 7,000 DB7s were built from 1993 to 2004, making it the most prolific model Aston ever made. In fact, Aston acquired a factory in Bloxham, Oxfordshire, in order to handle demand. Despite its production numbers, however, the DB7 was anything but pedestrian. Its sinewy styling, courtesy of Ian Callum, was a great departure from Aston Martin designs of the previous two decades. The car simply looked like a modern world-beater. Under the hood, the DB7 carried a 3.2-liter, DOHC, 24-valve, supercharged I-6 engine to the effect of 335 hp. Hydraulic and ventilated disc brakes adorned each corner, as did independent suspension. Shifting duties were handled by either a manual transmission or a four-speed automatic gearbox. The DB7 was also the first (and only, to date) Aston Martin to use steel unit construction. In 1996, the company introduced a convertible version of the DB7, and a Vantage model replaced the standard car in 1999. In Vantage spec, the DB7’s I-6 was swapped for a 420-hp, 6.0-liter, 48-valve V-12 that produced a whopping 400 lb-ft of torque. The V-12 handled a stop-to-60 sprint in 4.9 seconds and could reach a top speed of 186 mph when paired with the 6-speed manual. Aston Martin created 100 Vantage Zagatos in 2002, all with manual transmission. The Zagatos rode on a shortened chassis, with the eponymous styling house’s trademark “double bubble roofline.” Other differences were a tremendous front grille opening, and a shortened chassis. Today, these DB7s are among the most collectible modern Aston Martin. By 2004, Aston had prepared the next generation of GT in the DB9, but not before the DB7 helped raise Aston’s profile and recapture the imagination of gearheads. Even though the car has not been out of production for long, it has a strong following. Its great looks, ample power (especially in Vantage form), and Aston Martin pedigree combine to make it an appealing choice for collectors. Like any late-model exotic, DB7s were both coddled and driven hard depending on their original owners’ dispositions, so a full inspection is recommended before buying.